We have been talking about using solo ads to get traffic to the optin pages. 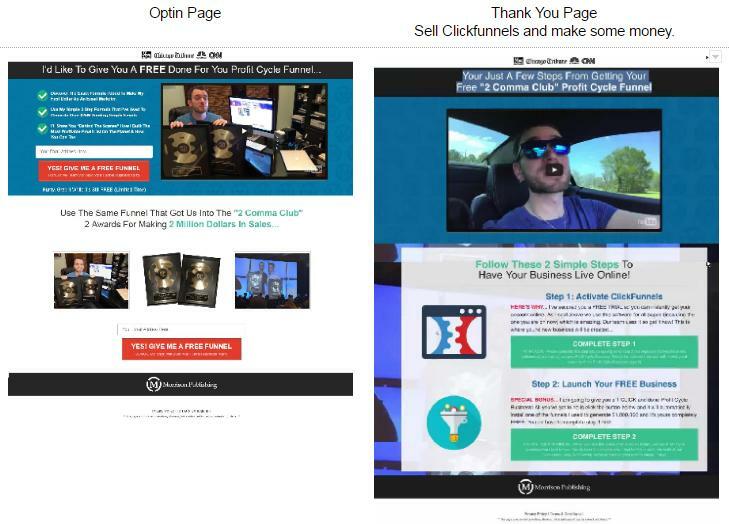 The optin page takes people to a thank you page which is where we make money as well as dropping people into an autoresponder. Step 2 gives away a complete funnel business for them to promote. The autoresponder has a series of emails designed to sell Clickfunnels. It also has a stick and sell series of emails designed to retain the people that optin so they don’t cancel. One reason people cancel is because there is no training. 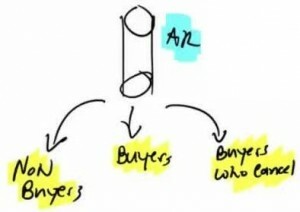 For this reason there is a stick and sell page that talks about how the process works and provides training on how they can get their business online. On this page Anthony talks about how the process works and what they need to do to get their business online so they generate revenue. The goal is to address buyers, non buyers and people that cancel so they stay with the program and continue generating income month after month. The third autoresponder series is about promoting products outside of Clickfunnels which might include Anthony’s products, your own products, ClickBank products or anything you want. A lot of people are sending emails in a way that isn’t effective because they put links directly to the product they are promoting. 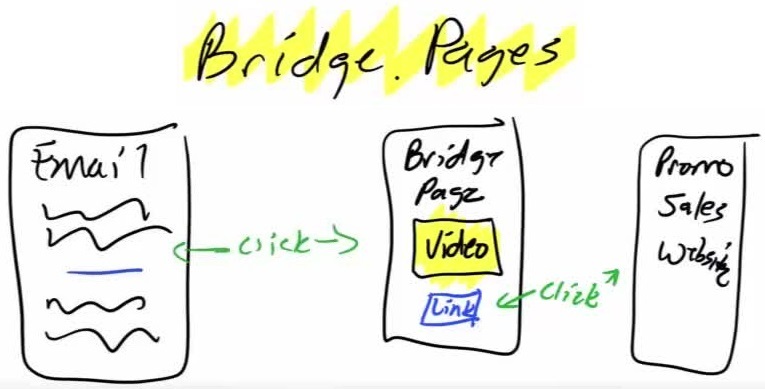 A better email sends people to a bridge page which has a link to the sales page. 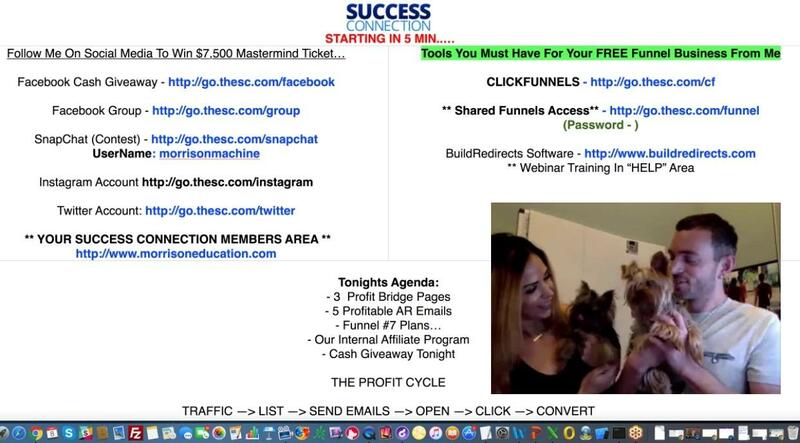 When people enter your funnel they initially see Anthony so if they click a link in your email and see somebody else they might not make the connection. It is better if they see Anthony on a bridge page pre selling that product. You could make the bridge video yourself but again there’s going to be a disconnect because people at this stage won’t know who you are. Clearly address a concern or the main point. Have focused emails that talk about what is on the presell page so there is a smooth transition to buy. This email should link to the following bridge page. It talks about surrounding yourself with people that you want to become like and doing the things that they do. 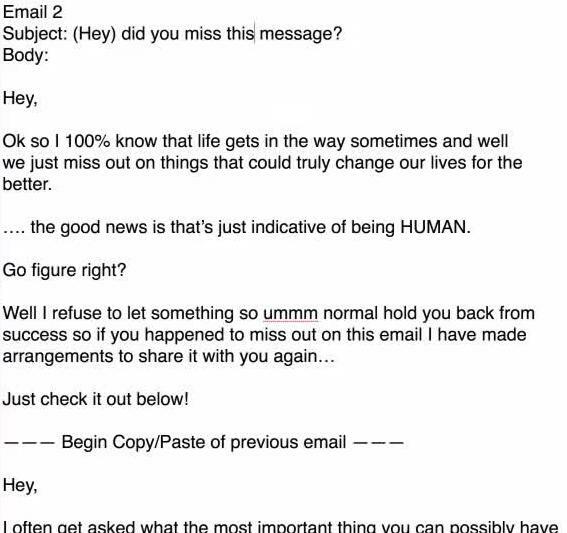 The second email simply reminds people about the first email in case they missed it. Typically if you don’t get someone to respond the first time then you’ll get them to respond to the second email. 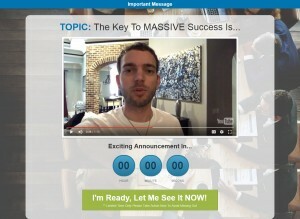 This is a personal video filmed in the home office designed to get people to click that blue button. 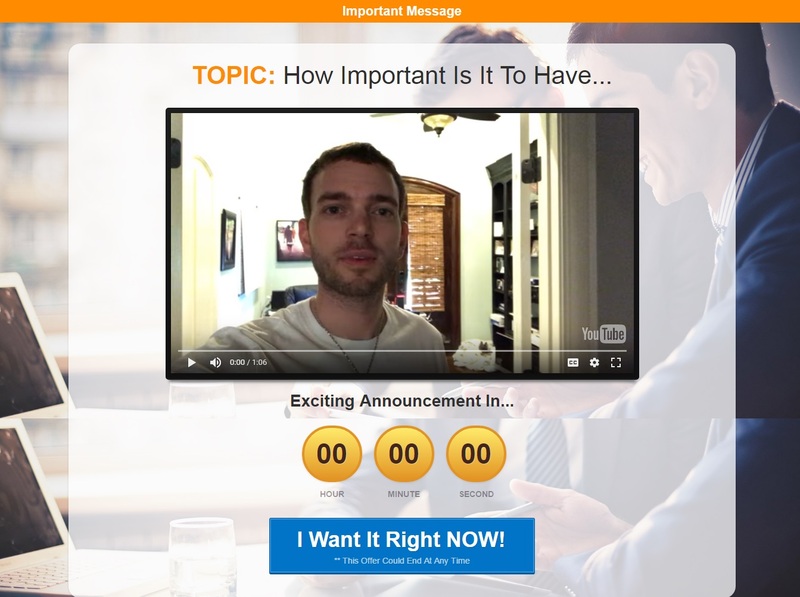 This email talks about the number one key to being successful online business owner and if people want to find out what it is they should click the link and watch the short video. This video talks about the key to success is having the right education and tools for the business you’re in. They are filmed right there in the house to show that this is a real person and nothing is staged. The people that just sit around thinking about what they should do and don’t take action never have success. It’s super important to implement what you learn. 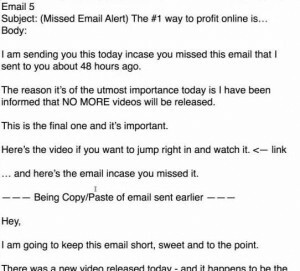 This email talks about saving the best video for the last. It also uses the abbreviation LMK which would usually be reserved for friends. This resending email subject line should get a lot of opens. 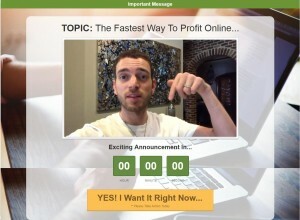 This video talks about the fastest way to profit online. Anthony walks around the house standing in front of bright shiny art to hold attention. Some might say this is an ugly page with non-standard buttons but there’s method in the madness. People become blind to things that they see all the time so by going against the grain it makes them stop and pay attention because they’re looking at something new. The second set is the stick and sell emails to make sure they hang around. The third set of emails is the bridge page promotions. There is nothing stopping you from swapping AR email series 1 and 2. 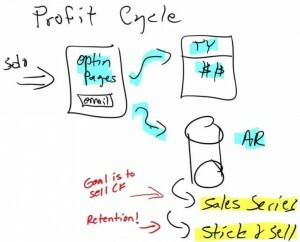 Stick and sell funnel page. 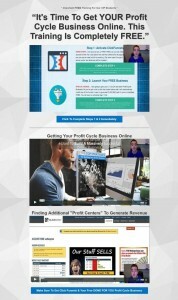 Get my notes like this emailed to you free. + $5,000 Invest in you giveaway details. + Internal Partner Program details.